Tatyana Pospelova is a corporate executive and an academic. 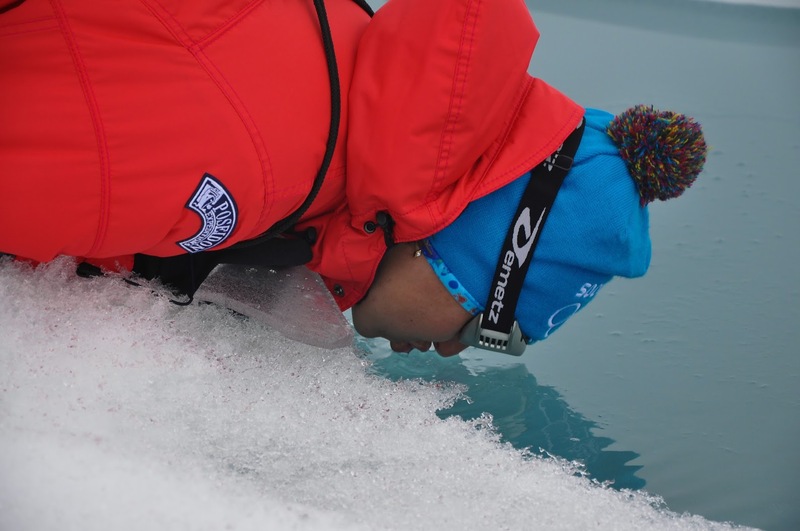 Recently, she set off on a journey to the Arctic, and kept a journal throughout her travels. Today, RBTH publishes excerpts from it. All the words below are her own, translated from the Russian. The train, fittingly named Arctic, carries us from Moscow to Murmansk. The landscape flying by the window is dotted with the lakes that Karelia is so famous for. We head towards our destination at land's end, beyond which a long sea voyage northward awaits us. 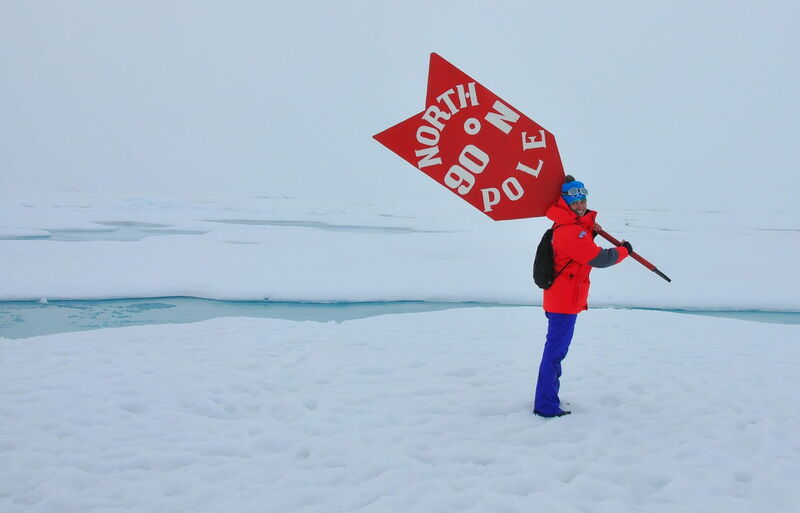 No more than 18,000 people in history have visited the North Pole, and soon I will be among them. The first thing we see is Murmansk's rather unwelcoming and uncomfortable train station. There are no ramps or railings anywhere, so people have to haul their heavy luggage unaided. 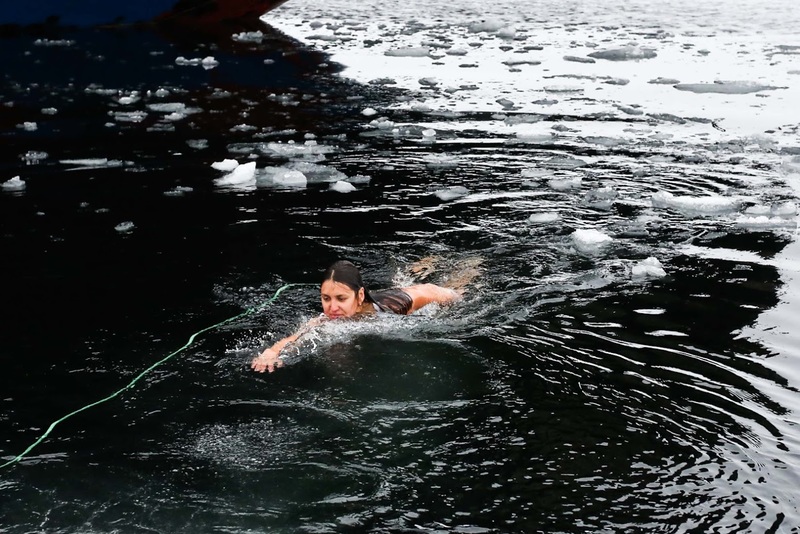 Recently, Murmansk has become a popular tourist destination for those who want to visit the nearby village of Teriberka, where the controversial film Leviathan was shot. The locals are happy to see more tourists coming, but insist that things are not as grim and hopeless as the film leads you to believe. 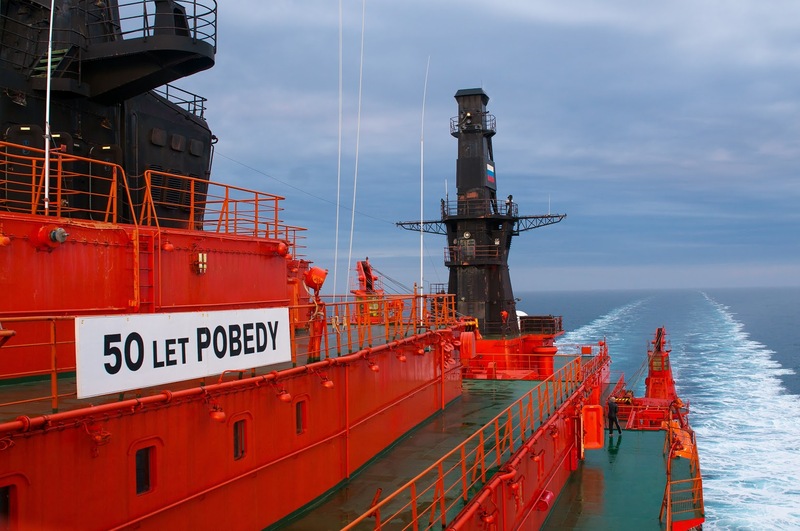 Our ship, proudly called "50 Let Pobedy" (50 Years of Victory), is one of Russia's 10 Arctic-class icebreakers. One of these ships was the first to reach the North Pole. 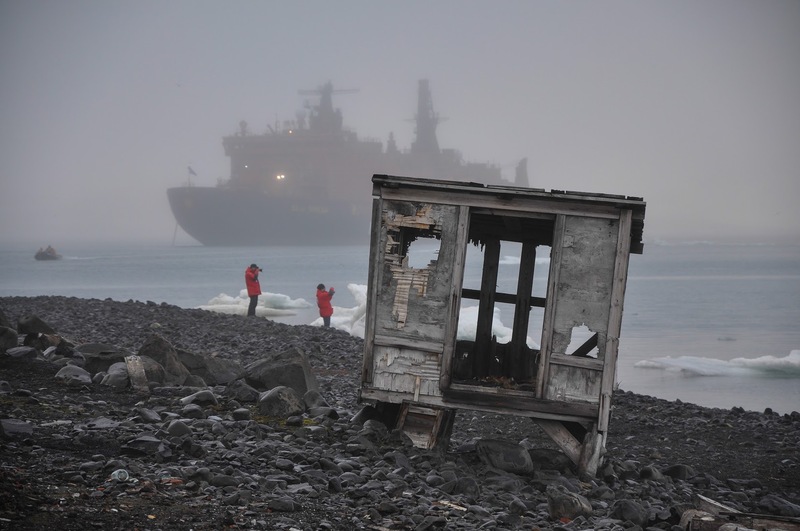 The U.S., Canada and China also have icebreakers, but only Russia uses nuclear-powered ones in the Arctic. A special laboratory monitors the operation of the ship's nuclear reactor. 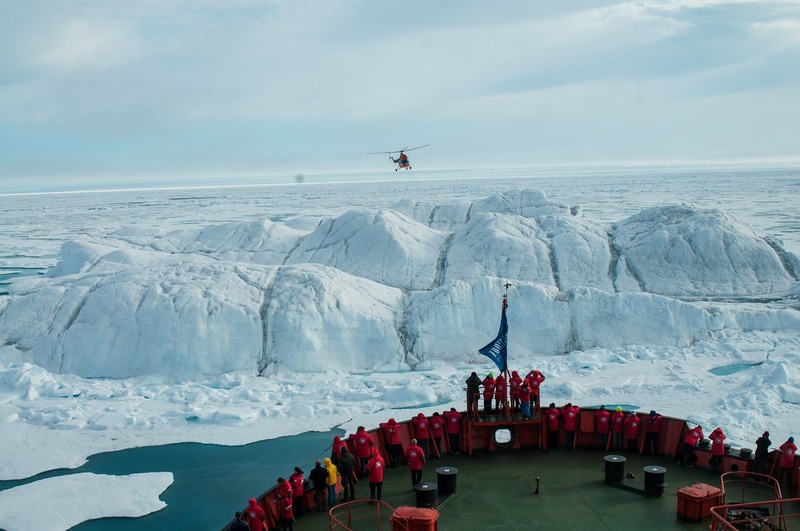 The icebreaker has a service life of 30 years. The price of building it takes into consideration the cost of decommissioning the vessel, which is similar to the costs of nuclear waste disposal. One could say that we are being carried to the North Pole by a floating nuclear power plant. 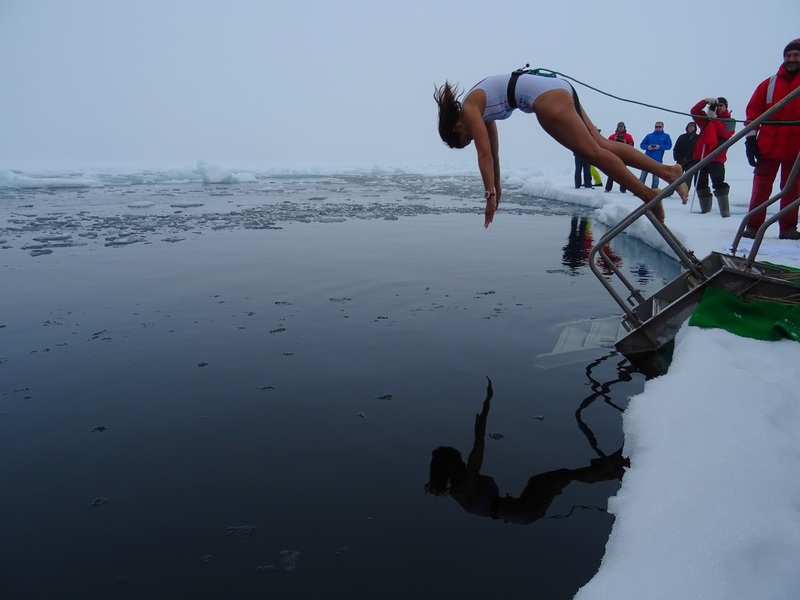 A refreshing dip in the icy water near the North Pole is one of the most cherished polar travel traditions. I am sharing a cabin with a British writer. She has turned out to be quite an eccentric character and not prepared for rough sea conditions. In addition, she has taken a fancy to the captain of the ship. My roommate says that her future novel will be called Antics of a Fallen Woman of a Certain Age. She warns that it is autobiographical. 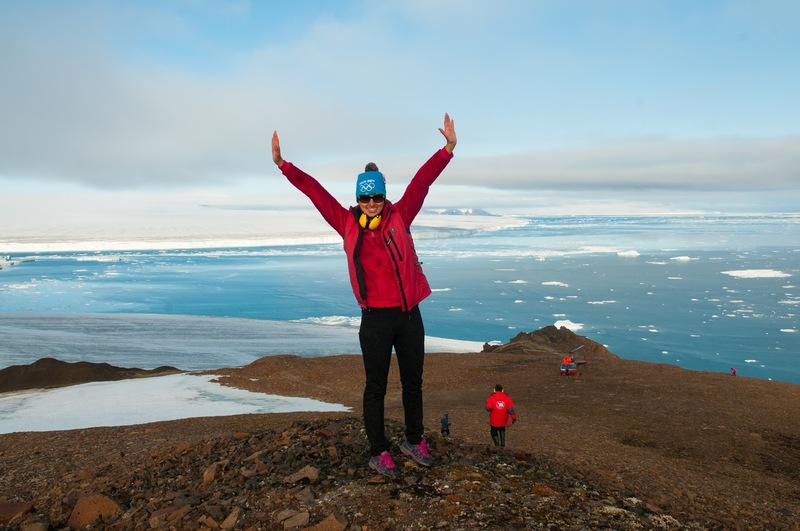 Another fellow passenger, Felicity Aston, is a famous polar explorer. 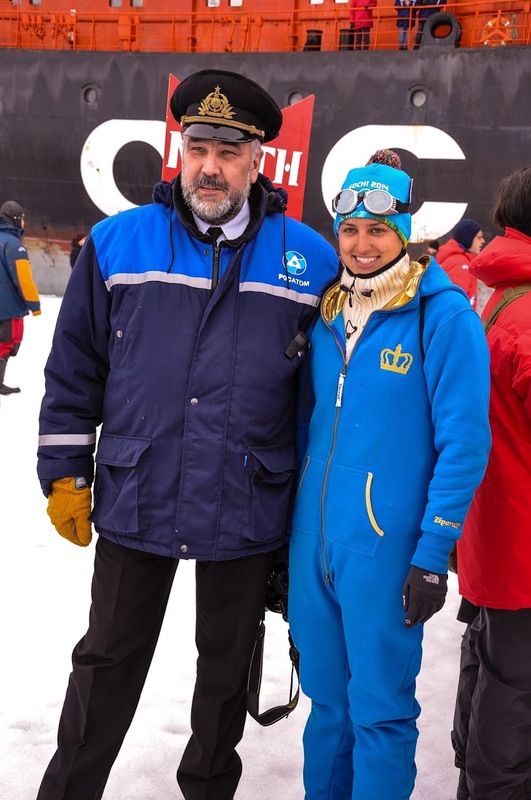 In 2012 she became the first person to ski across Antarctica. She also headed an international female expedition to the South Pole. Day 3. 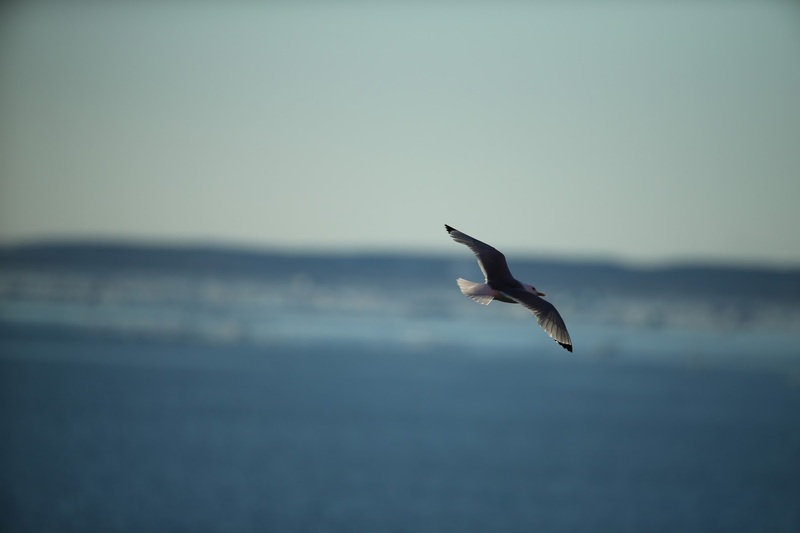 Crossing the Barents Sea. 72nd parallel north. This is our first day at sea. Everybody is busy doing their work: The crew is nowhere to be seen. Only once in a while do you spot a sailor hurrying somewhere. Looking at their faces, there is no doubt they know what they are doing, where they are running to, and why. 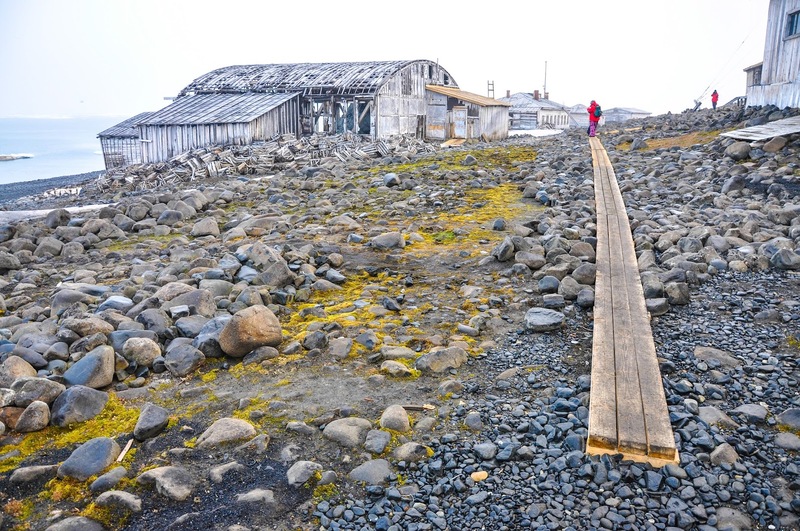 There are some 800 km to the Franz Josef Land archipelago. Closer to the evening, we were delighted to see a flock of seagulls. 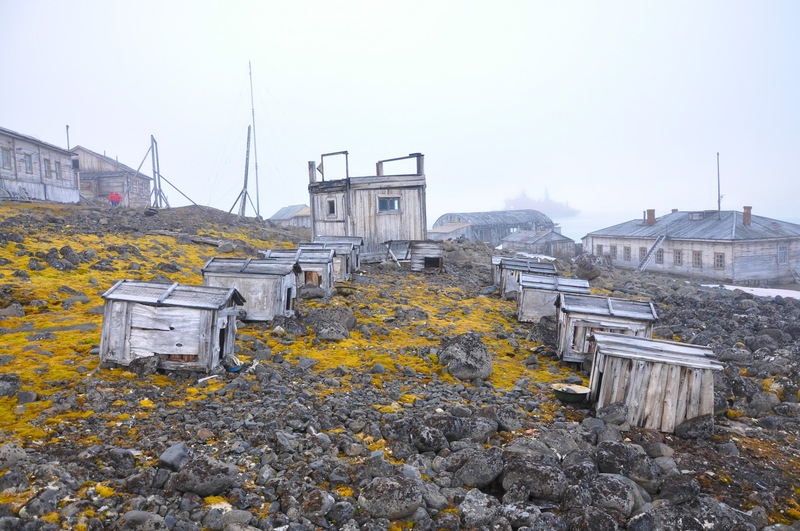 I wondered where they were coming from: Murmansk, or already Franz Josef Land (FJL)? 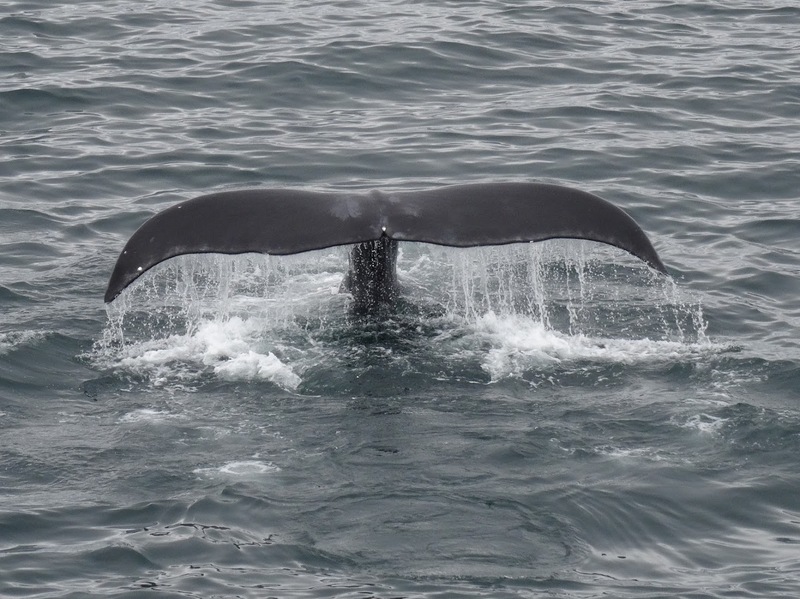 We also saw several dolphins on the horizon. I came on deck and could not believe my eyes! We have sailed straight into winter! 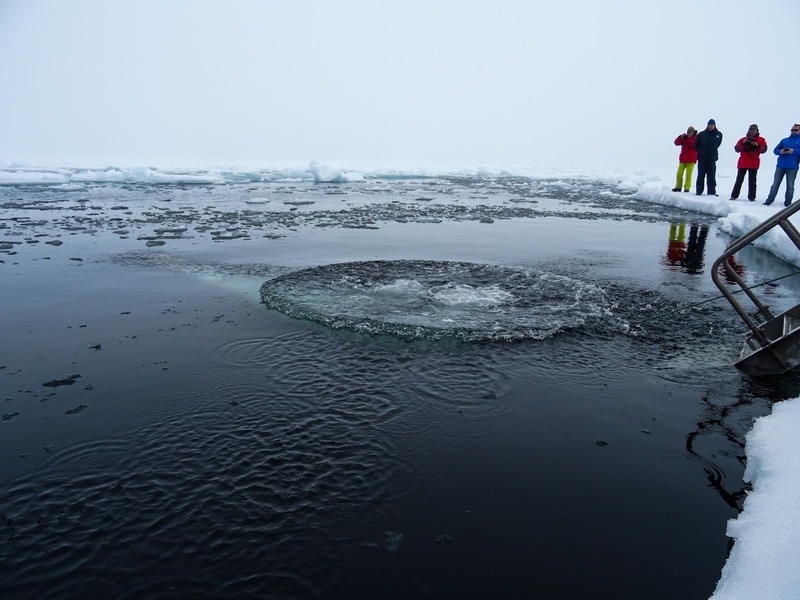 The temperature has dropped to zero, and our icebreaker has broken the first ice! Hardly had we calmed down after that initial excitement when there was an announcement that to the left of the ship we could see the master of the Arctic, a polar bear! All the tourists rushed to the deck. We saw that cuddly animal - a symbol of the Olympics, and of Coca-Cola's Christmas commercials - covered in blood, devouring a freshly caught baby seal. It would be a stretch to describe that meal as an elegant affair; the bear was tearing its quarry into pieces. This was perhaps the most exciting and unusual horror flick I've ever seen! 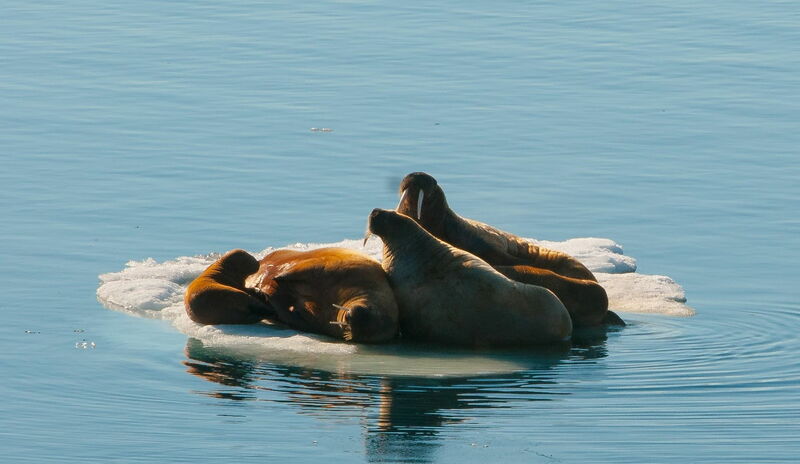 The walruses did not even notice us until our huge ship came right next to the ice floe they were on. Today, I was woken up by the sound of the captain's strict voice. Through the speaker system, he announced that straight ahead of us was a walrus rookery. The time was four in the morning. 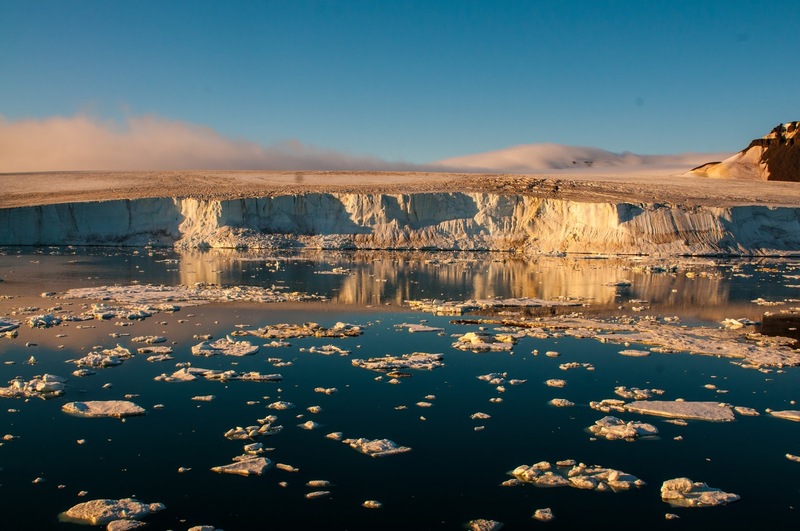 Slowly, but surely, we are making our way through the seemingly endless archipelago of Franz Josef Land. 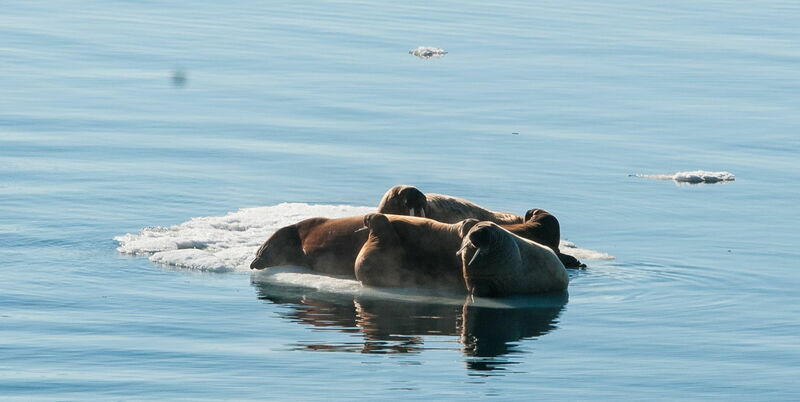 The walruses did not even notice us until our huge ship came right next to the ice floe they were on. In the afternoon I got a chance to talk to our captain, Dmitry Lobusov. 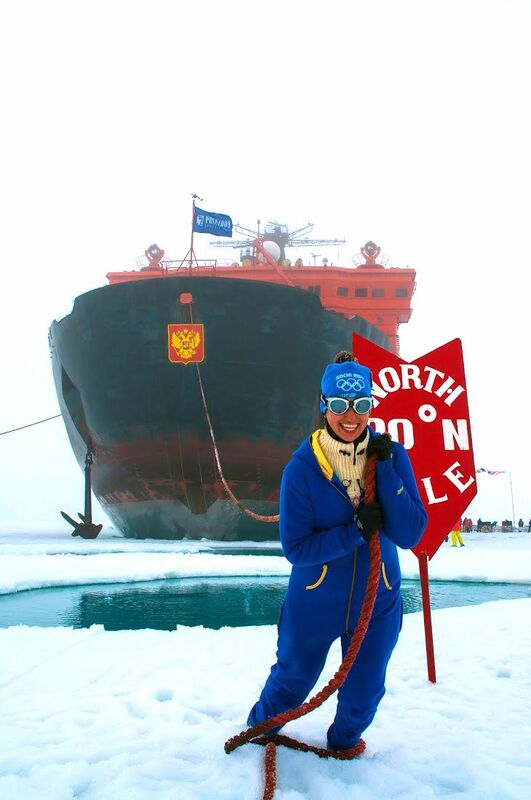 Was it your childhood dream to become captain of an icebreaker? DL: I decided that I wanted to be a sailor when I was in the third grade. Even at New Year performances at school the other boys would dress as wolves while I was always a sailor. What is your working schedule like? DL: We work shifts, each lasting four months. A captain selects their own crew, and people rarely get sacked. Alcoholic drinking is a wrongdoing for which there is zero tolerance. Is it true that the crew can bring their family with them? DL: Yes, as a bonus. 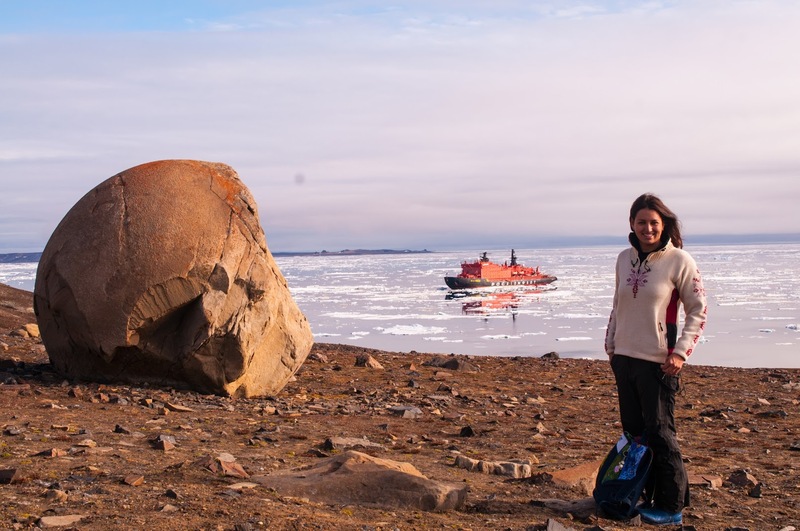 My daughter started taking her first steps onboard an icebreaker, at sea with me! 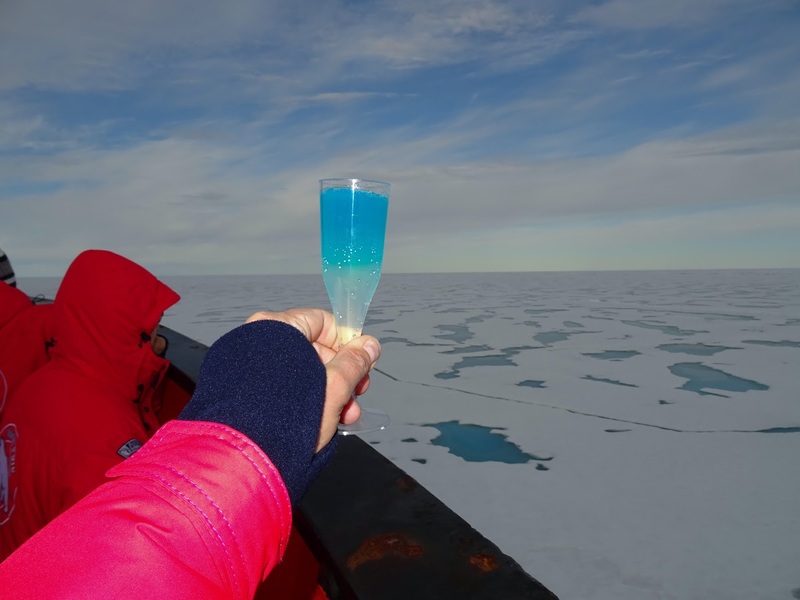 Dmitry Lobusov is captain of the ship 50 Years of Victory. Today, having covered a distance of 2,333 km, we reached "the roof of the world," the North Pole, at latitude 90 degrees north. If I'm ever asked to name one absolutely happy day in my life, it would be the day I spent at the North Pole. Champ Island – a place from space? 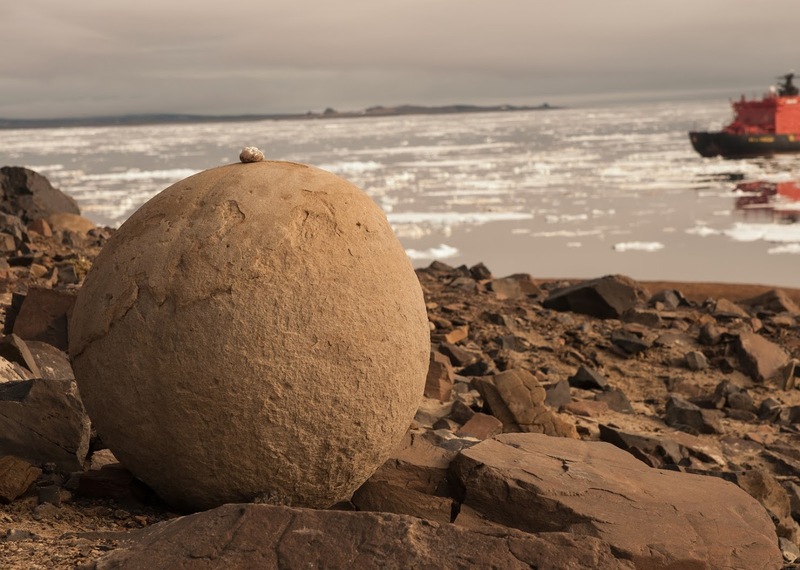 Scientists are still wondering how the spherical stones, which the island is famous for, got here. 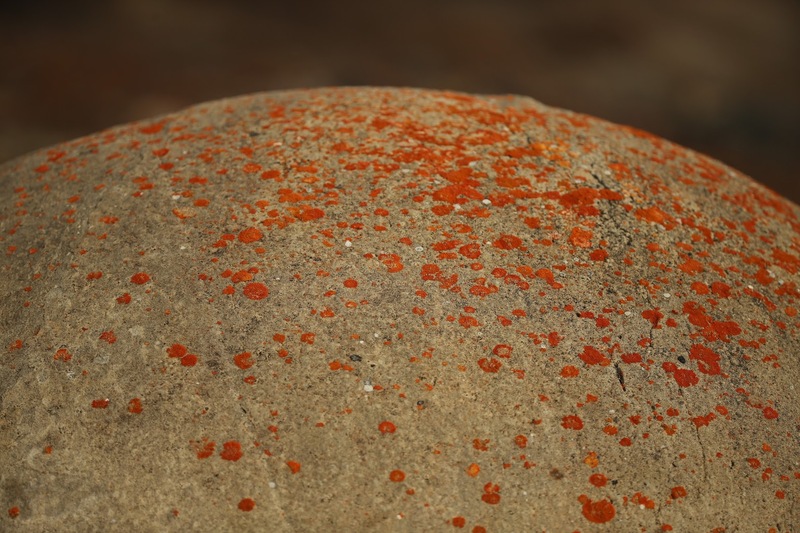 The whole place is littered with stone balls of varying size, from several centimeters to three meters in diameter. Tourists are seldom allowed to visit the island these days because they have already practically cleared the place of all smaller balls, taken as souvenirs. Tourists are seldom allowed to visit the island these days. 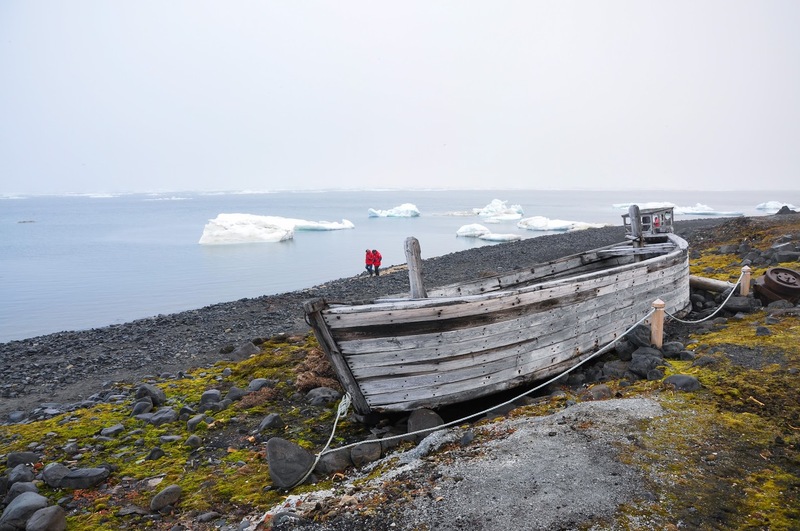 Tikhaya (Quiet) Bay was named by the expedition of Georgy Sedov, a Russian Arctic explorer who died in 1914 after having covered just one-tenth of the journey to the North Pole. 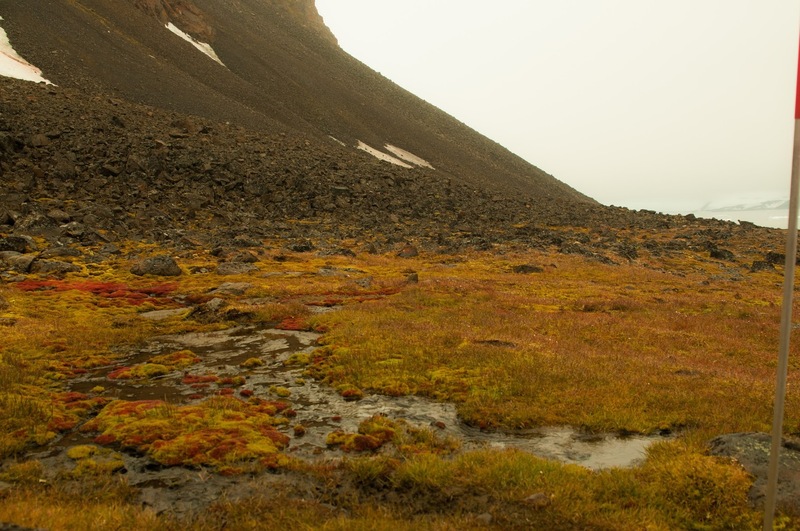 This is now the Russian Arctic Park, the second largest protected Arctic territory in Russia. The first Russian station here appeared back in the 1930s. It was eventually mothballed, but is now being used once again. 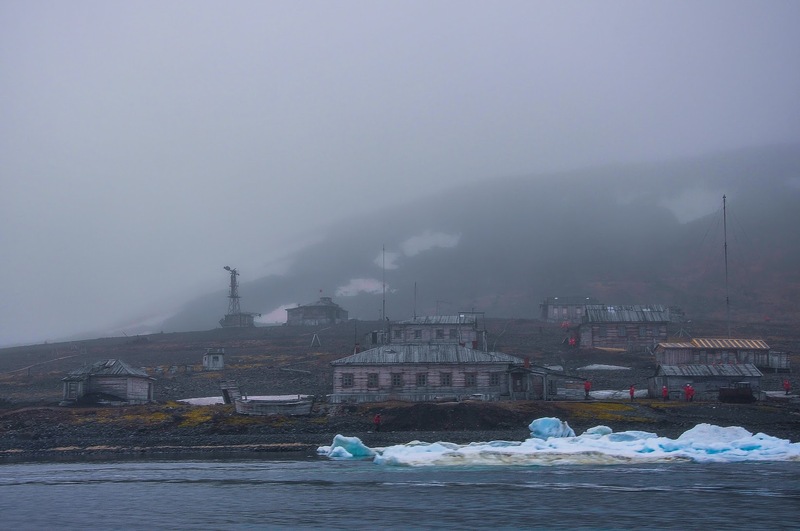 Tikhaya (Quiet) Bay was named by the expedition of Georgy Sedov, a Russian Arctic explorer who died in 1914. 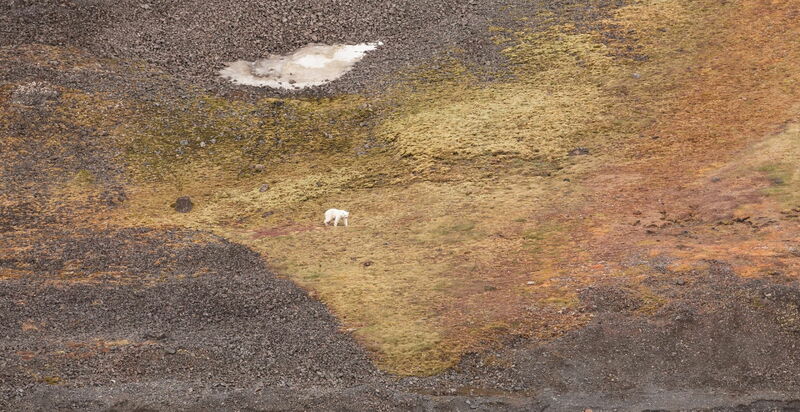 There is still a lot of work to be done on it, and sometimes there are troubles with the locals. For example, after winter hibernation, one of the old station's buildings was occupied by a polar bear that refused to vacate the place! 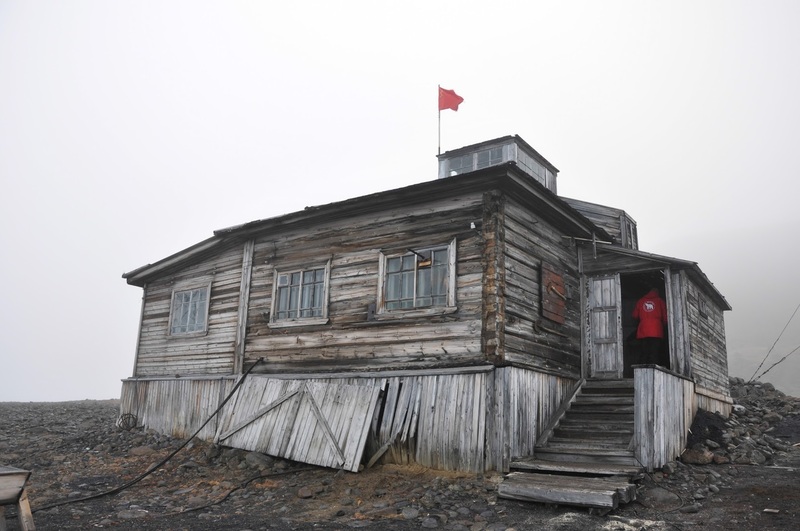 The first Russian station here appeared back in the 1930s. It was eventually mothballed, but is now being used once again. 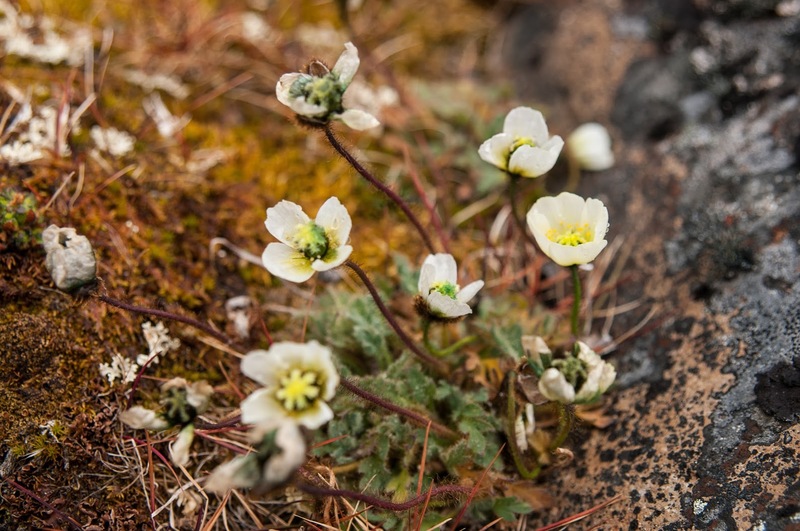 In summer there is a volunteer program for those who want more than just a glimpse of this harsh land, and 14 scientists and park staff live at the station. 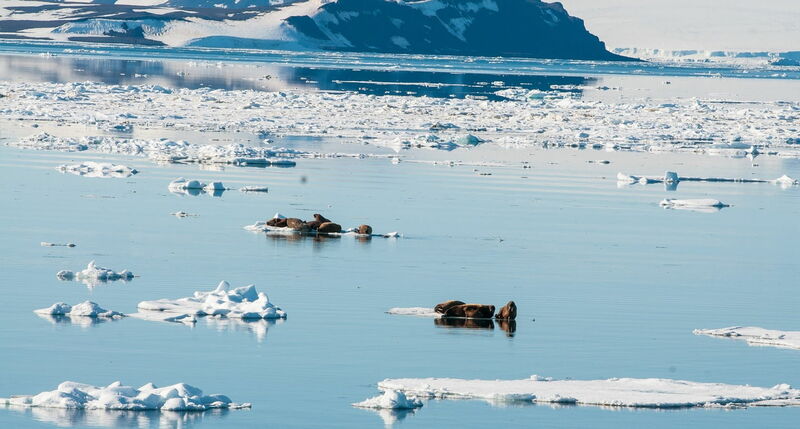 They are conducting genetic research on Atlantic walruses from Franz Josef Land and Novaya Zemlya, and also study the impact that the contraction of the polar ice cap is having on polar bears. 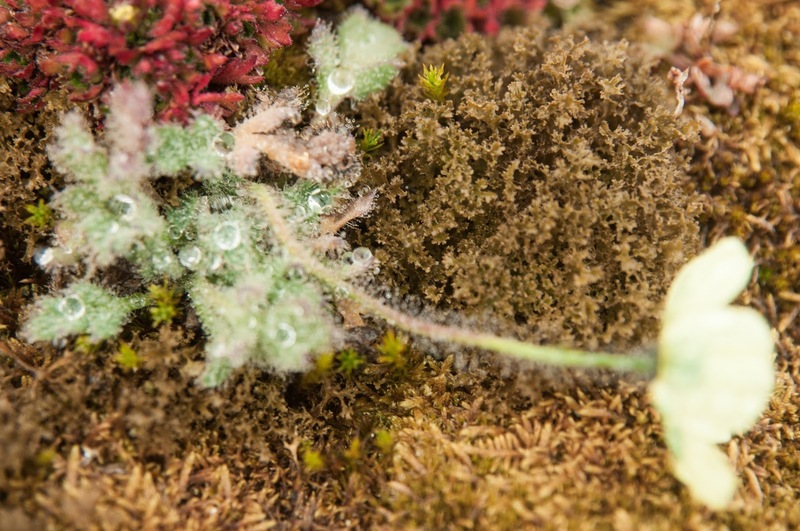 Story and photos by Tatyana Pospelova. Edited by Victoria Zavyalova, John Varoli and Alastair Gill. Design and layout by Victoria Zavyalova. © 2015 All Right Reserved. Russia Beyond The Headlines.